Last week Cult Collective were not the only ones to launch a brand new website. The Poster Posse launched their own dedicated website alongside their latest project, and official collaboration with Disney to celebrate their upcoming animation Big Hero 6. 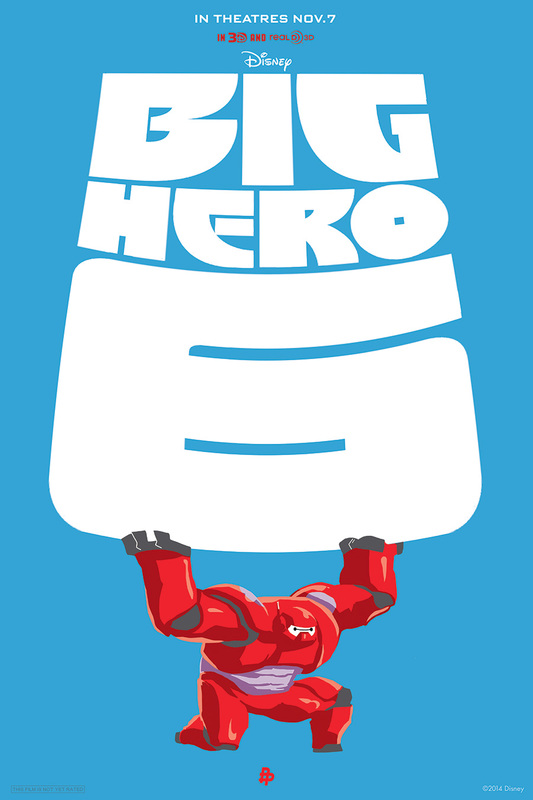 Inspired by the Marvel Comics series created by Steven T. Seagle and Duncan Rouleau in the late 90’s, Big Hero 6 follows in the footsteps of Disney and Marvel’s other recent super hero team movie, Guardians Of The Galaxy as another example of how the mouse house are putting faith into lesser known Marvel characters. Check out some of the great posters that the Poster Posse have created! In case you didn’t know, Hull will be the European City of Culture for 2017. Event’s like Cult Cinema Sunday at the Fruit have really helped transform the city over recent years. On the third Sunday of every month, Cult Cinema Sunday screen a classic movie as well as putting on music, local food, drinks, a quiz and competitions with some great film related prizes. 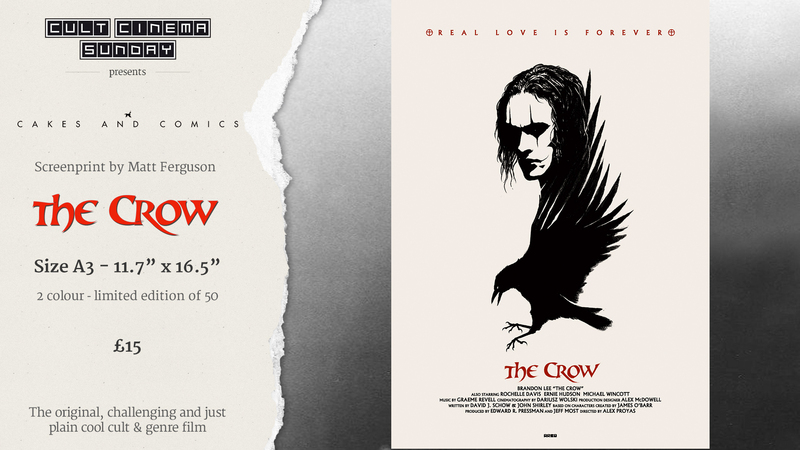 For Cult Cinema Sunday’s next screening on Sunday 19th October, they will be showing The Crow, Brandon Lee’s iconic last role. 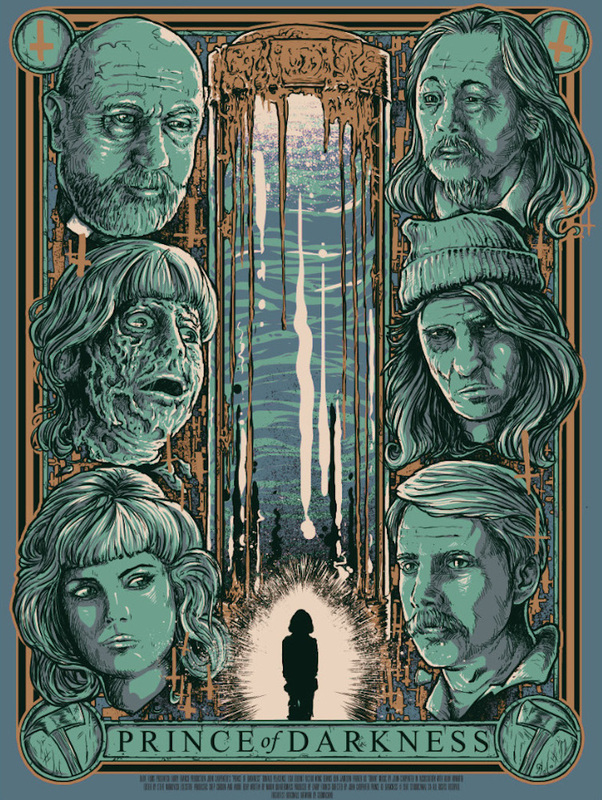 To make the screening that extra bit special, Cult Cinema Sunday commissioned artist Matt Ferguson to produce an amazing, exclusive poster for the event. Check out the full reveal and event details below. 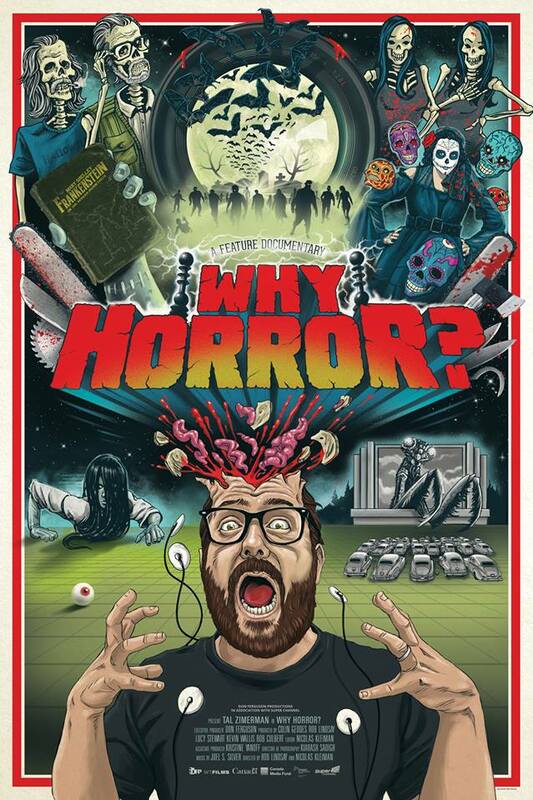 Witness The Ghoulish Poster Art For Upcoming Documentary, “Why Horror”? Horror flicks are awesome, are they not? Well I think they are and growing up with a healthy dose of them has also meant anything horror related is always worth checking out. So it was quite a surprise when the horror based documentary Why Horror? crossed my path without me having any prior knowledge of it. I must be slipping in my old age. Even more surprising was the amazing art that has come out to promote it. 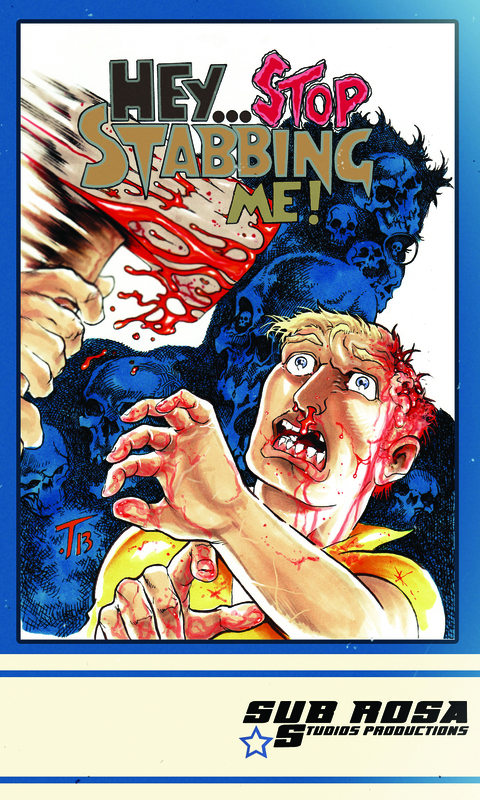 An interesting premise is followed up by some pretty awesome artwork. Cult Collective regular Gary Pullin has created a superb, 80’s styled poster which covers the whole gambit of horror while getting a bit of the red stuff in for good measure. Written by Adam Parker-Edmondston 2 Comments Posted in Movies and Documentaries, News	Tagged with art, Documentary, Gary Pullin, Ghoulish Gary Pullin, Matthew Therrien, Movie, Poster, Why Horror? 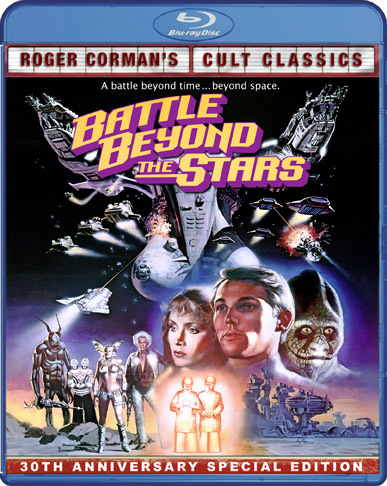 A long time ago (not in a Galaxy far, far away) I wrote some articles (which can be seen here and here) on the increase of DVD art that is incorporating the styles of 80s movies and film advertising. Basically these artists are bringing back to the public eye, the use of painted and drawn front covers. This is something Hollywood had (for the most part) ditched due to it costing more than the easier (but god awful looking) Photoshop covers we see today. This time around I am looking at a random selection of DVDs, which although all from different companies and artists, all share this passion for art based covers. The VHS community, since the introduction of the Internet has exploded and branched out from small groups into forums that can reach people all over the world. 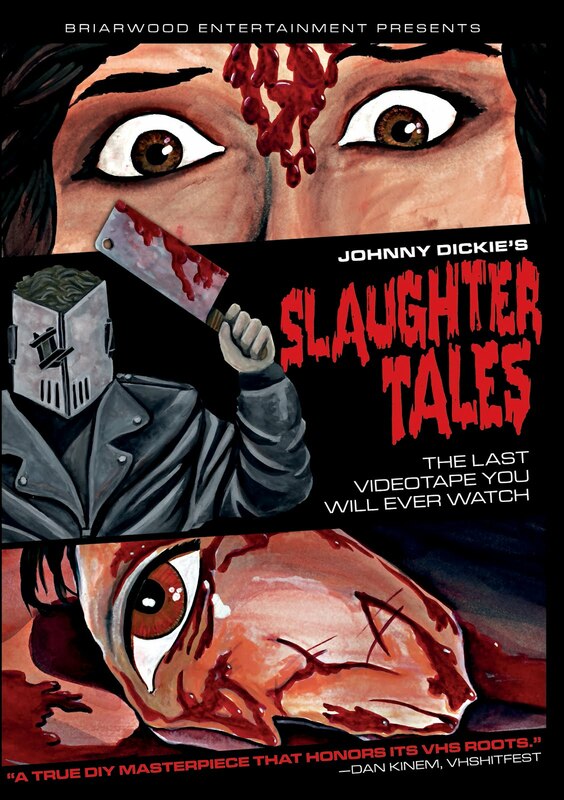 There are numerous websites and social networking sites (like the fantastic VHS Misfits and Horror VHS Collectors Unite pages which are the go to places for VHS fans) which have become a place for buyers of VHS to swap stories and tapes. 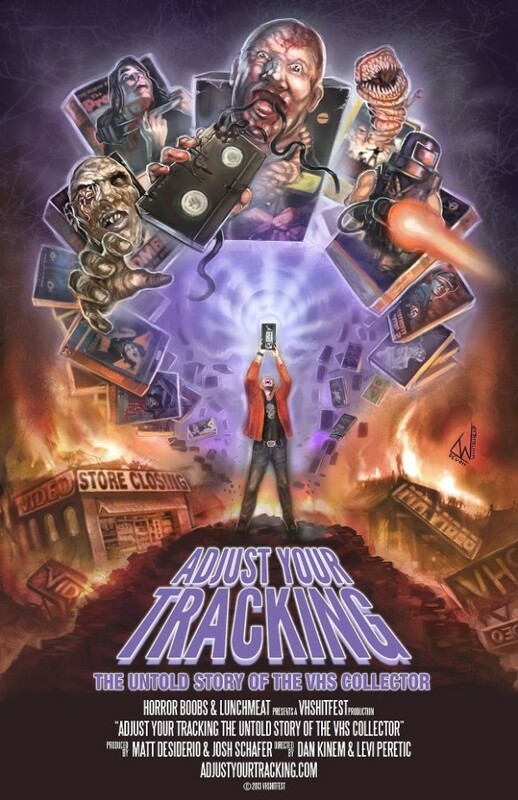 The relationship between collector and tape has inspired certain filmmakers to create documentaries showing the world what it is like to collect VHS. 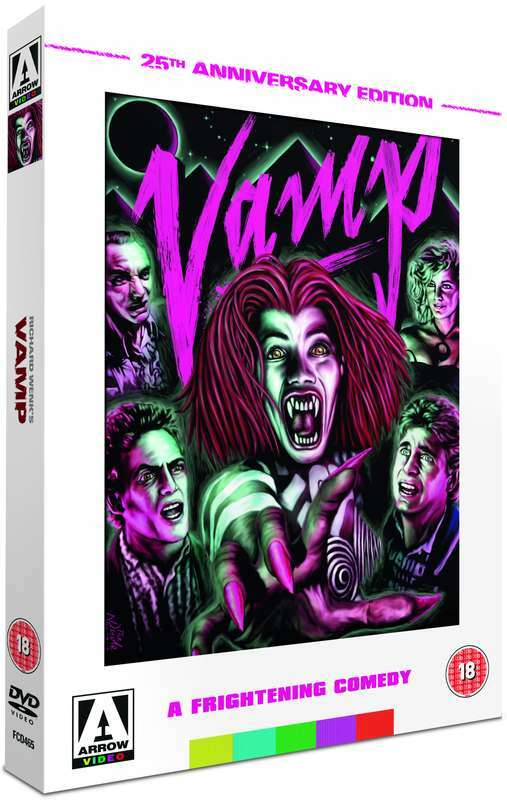 Taking the inspiration from their collections, these DVD releases have covers any VHS collector would be proud of. 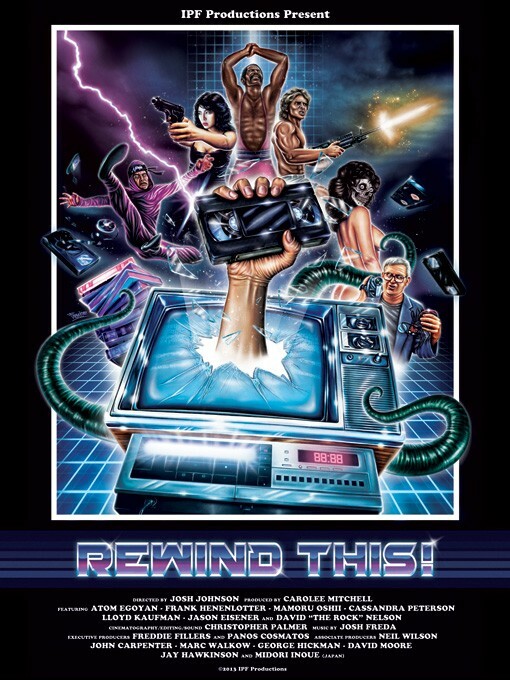 Rewind This by Josh Johnson has the more neon, spray paint style cover design you would expect to see on a more expensive VHS release, while Adjust Your Tracking by Dan Kinem on the other hand has the style of a SOV (Shot on Video) movie. Both are fantastic. 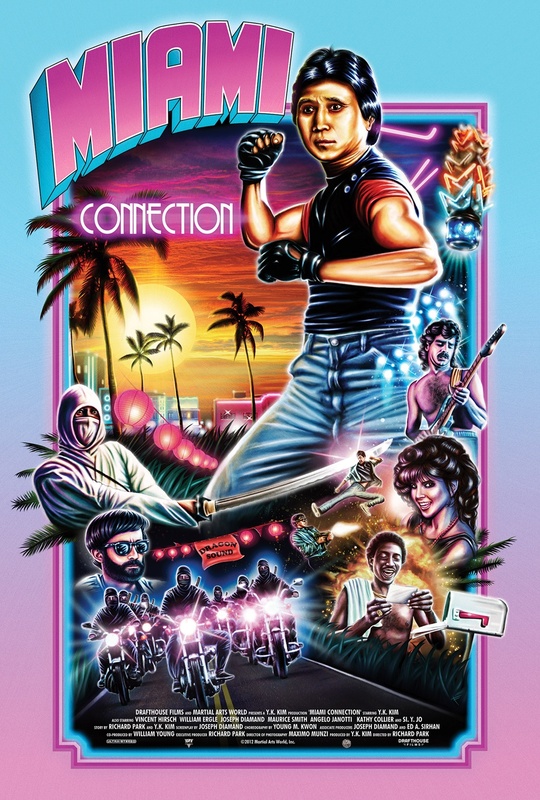 The Drafthouse releases of Trailer Wars and Miami Connection both share a similar and just as incredible cover design. 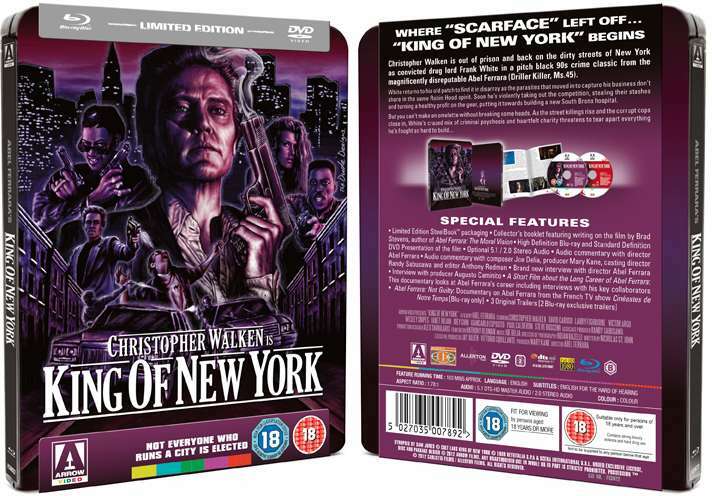 Keeping on the topic of VHS we move to two DVDs which cover a dark time for UK film viewers. 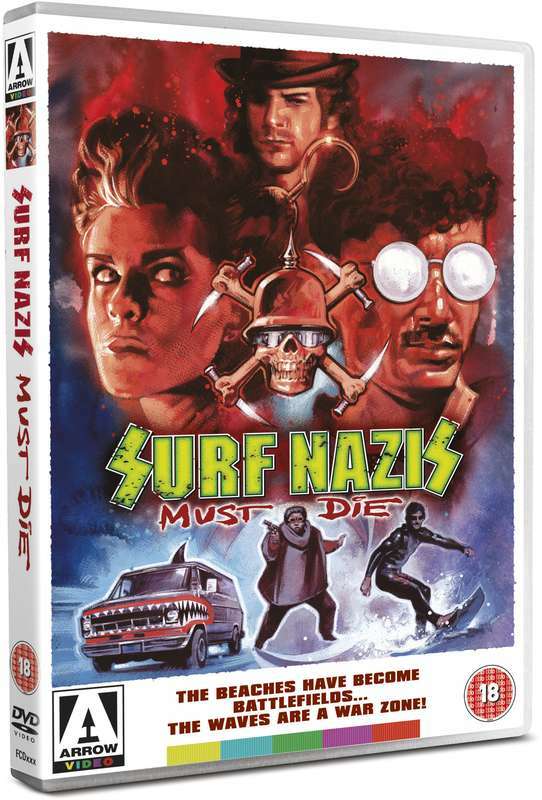 The Video Nasties era. For anyone not in the loop here is a brief rundown of the events. 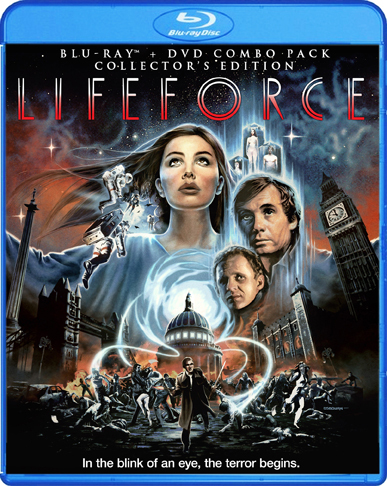 During videos hey days in the 80s self-regulation was not really an issue, and as such anything could go on VHS without going through the BBFC (the UK film certification group), because the BBFC only applied to film, not home video. 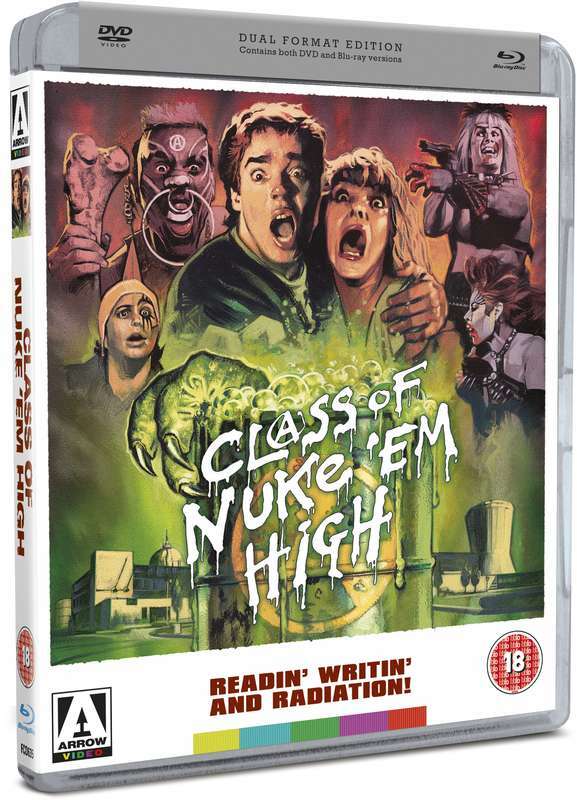 This did not last long and the newspapers as well as certain moral crusaders like Mary Whitehouse took it on themselves to clean up any video release they deemed to filthy for human consumption. There were a lot, people were jailed and videos banned for good. Now it is not so bad, but the films on that banned list are obviously a collector’s dream purchase. 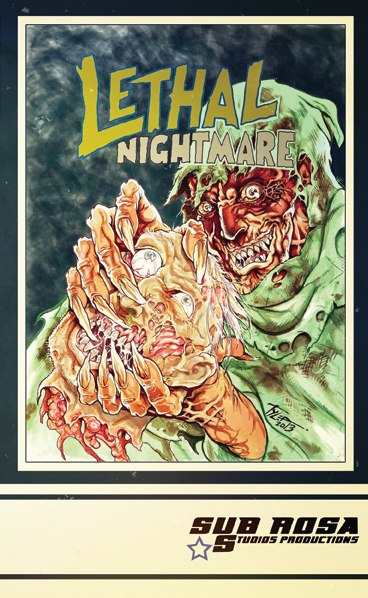 Two documentaries Video Nasties – The Definitive Guide Volume 1 and 2 (by Nucleus Films) have been released covering this very event and the in your face artwork shows us a little bit of what the artwork was like at the time. Film historians would be well advised to check these out. The following DVDs below are a collection of some solo released movies which all have incredible 70s and 80s related covers. Though they all cover different topics they all have a great visual style to them that draws you to the movie straight away. 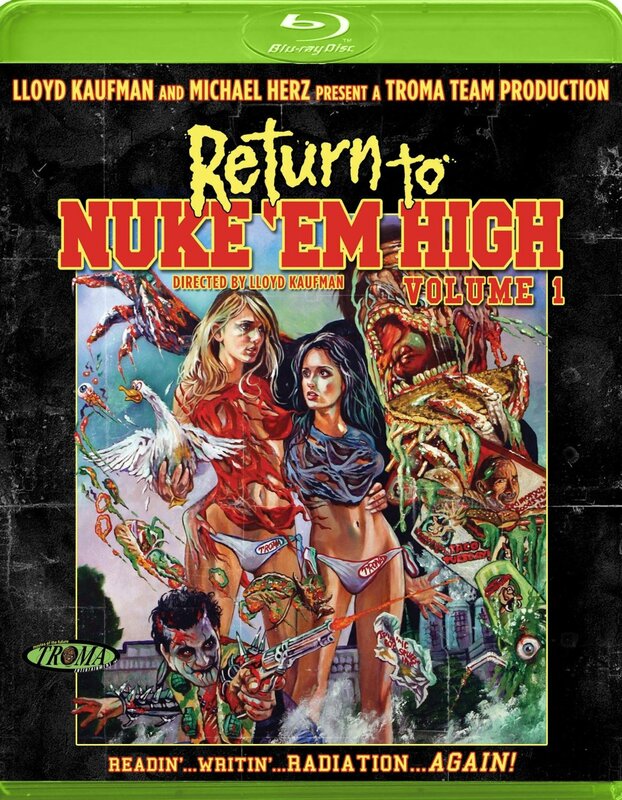 Some releases come from established schlock creators like Troma (Fathers Day and Return to Nuke Em High) and Camp Pictures (The Basement), well established Indi companies like Sub Rosa (Feeder), while others are entirely self-funded SOV affairs like Johnny Dickies Slaughter Tales. They all share a sense of fun about them; there is something kind of cool and exciting about seeing this kind of cover art available to buy again and the fact people are just going out there and not taking the easy approach, and doing their own thing. This is all just scratching the surface really. 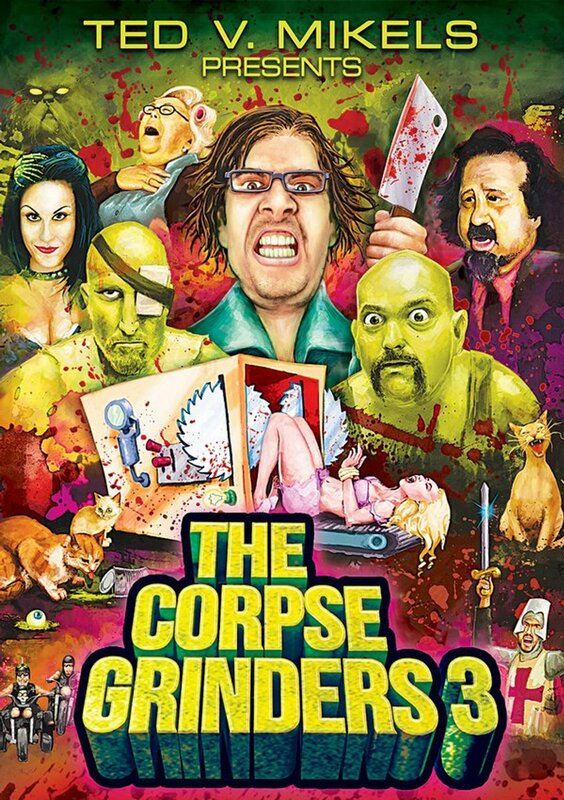 There are tons of DVD covers just like these all over the internet, and though a lt of them love to embrace violence and gore they are not all like that. 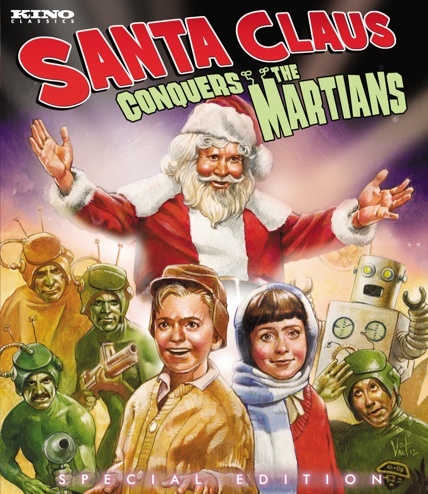 Finally to finish things off on a lighter note there is this great retro 80s DVD cover by Vince Evans showing one of the cheesiest films out there Santa Claus Conquers the Martians. 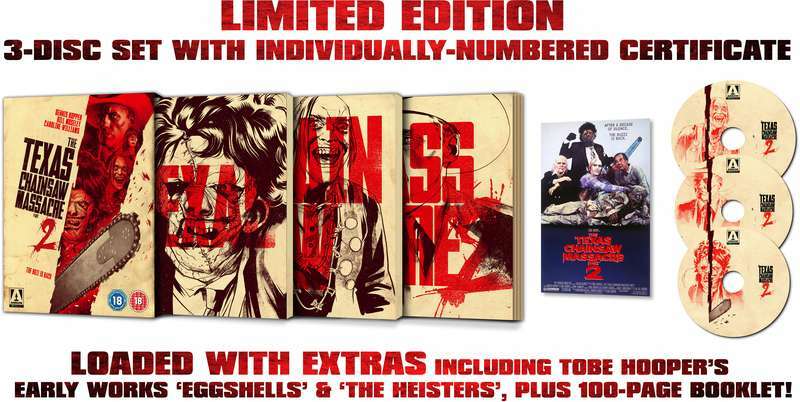 Enjoy this and hopefully in the future you will be able to enjoy even more artwork on DVD sleeves. 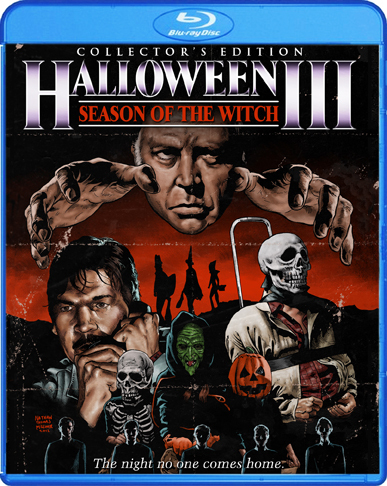 Once the big movie producers see that there is still a market for this kind of design, they will hopefully incorporate this style back into the mainstream. 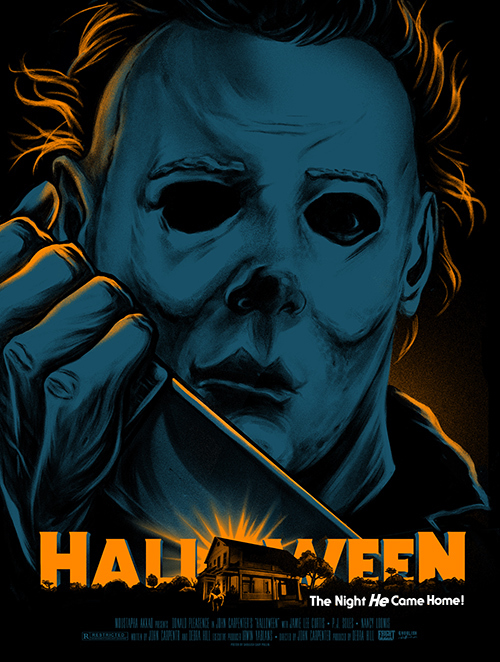 Being a huge fan of the Horror genre I am always on the lookout for original and fun art pieces that show a certain level of knowledge and more importantly love of the genre. Well, when I was introduced to FrightFest (thanks to artist Jeremy Wheeler for the info) my Horror needs were more than satisfied. Here is what Ian Rattray and Alex Chambers, the two founding members of the FrightFest, had to say about their work on their web page. We are for the fans, for the artists and all for exclusive stuff. These posters are authorised and unique. These two definitely have their Horror and Art credentials and when you see what artwork they have amassed for sale, I believe you will be suitable impressed, much like I was on my first exposure to them. Below is a selection of some of my favourite prints from the website but to look at the full selection then click the link here. 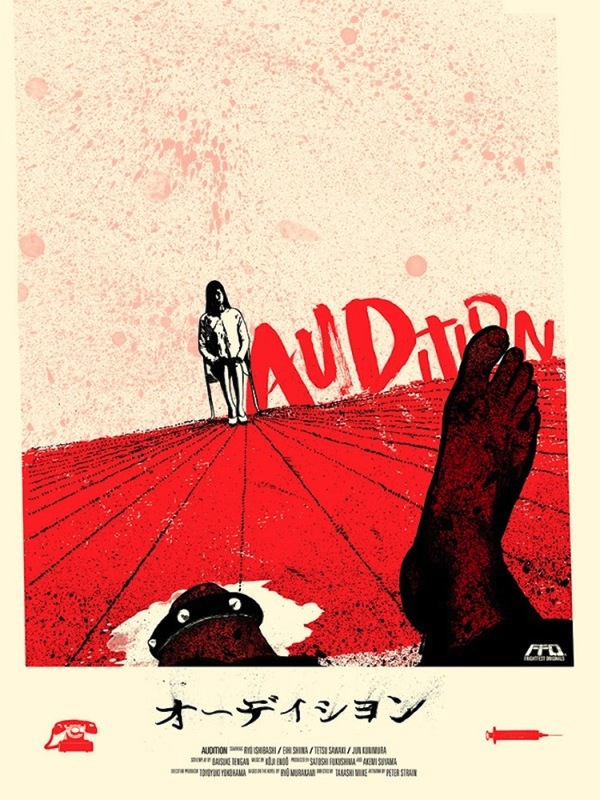 AUDITION by Peter Strain. Two colour screen print – 18″ x 24″- portrait – 300gsm – £30 – 35 only. 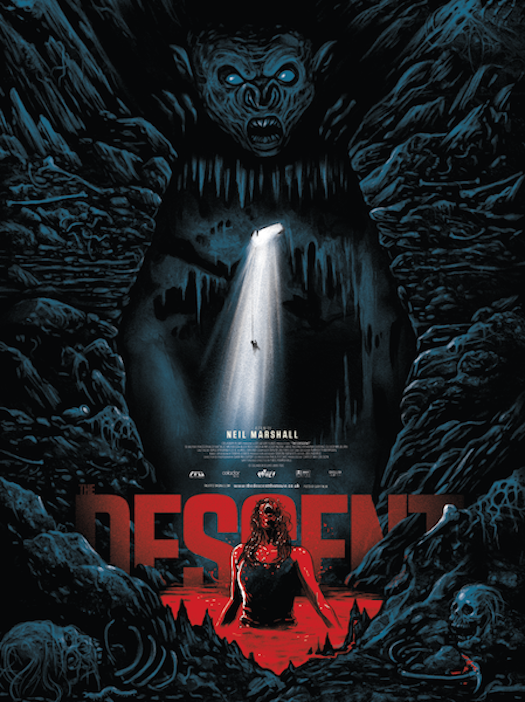 THE DESCENT by Gary Pullin. Four Colour – 18″ x 24″ – portrait – numbered – £25 – 75 only. 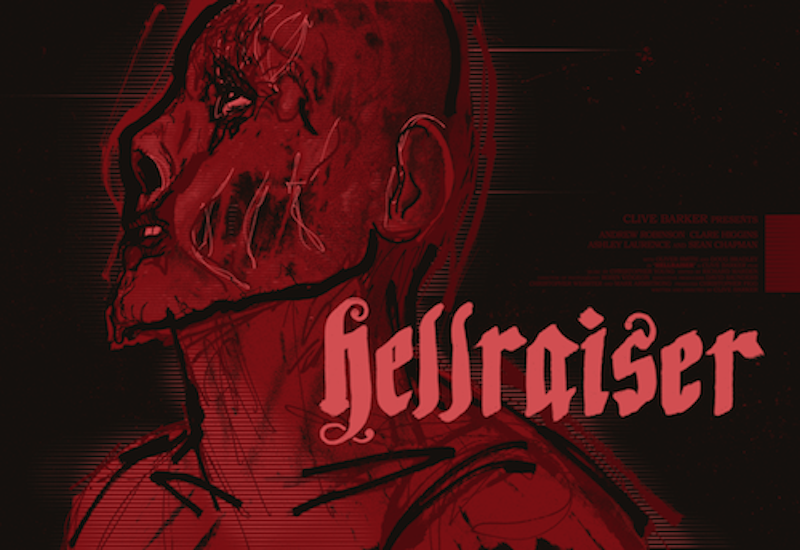 HELLRAISER by Derek Gabryszak. 36 x24 – 300gsm -Landscape – Numbered – £30 – 50 only. MARTYRS by Ghoulish Gary Pullin. Three colour – 26.5″ x 38.5″ – 300gsm – Landscape – Numbered – £30 – 75 only. 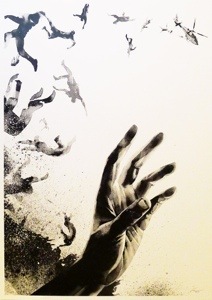 Three Colour – 38.5″ x 26.5″ – 300gsm – Signed and numbered – £20 – 50 only. 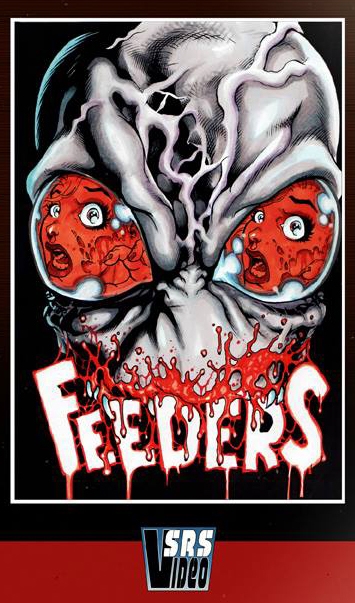 ZOMBIE FLESH EATERS by Nat Marsh. Five colour – 26.5″ x 38.5″ -300gsm – Landscape – Signed and numbered – £30 – 75 only. 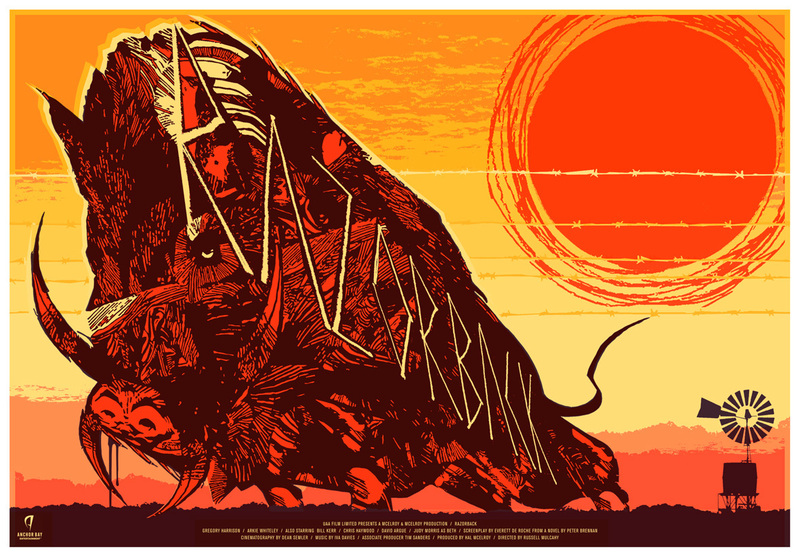 RAZORBACK by Luke Insect. Three Colour – 26.5″ x 38.5″ – Landscape – 300gsm – £30 – Numbered – 50 only. The amount of detail that has gone into these pieces is awesome. 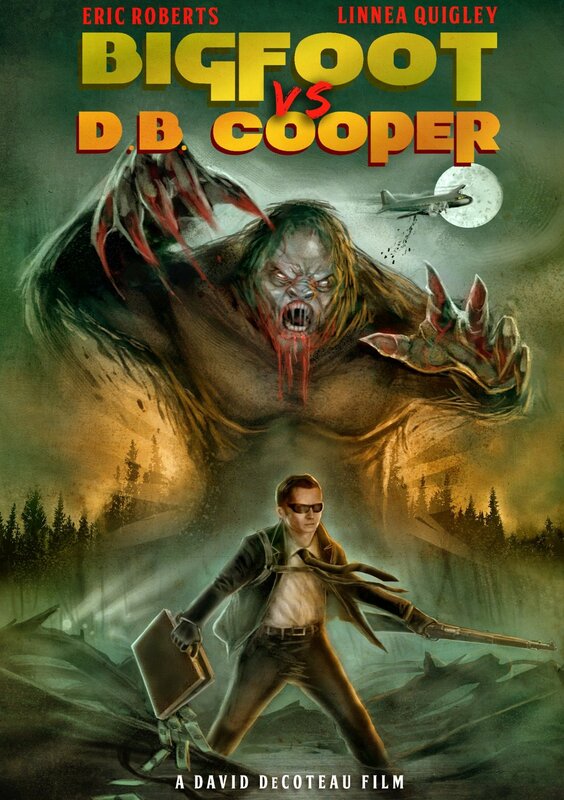 I love the fact it is not just main stream Horror movies that have made the leap to print. 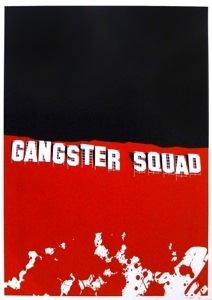 Some of the more Indi and low budget movies have also become poster art. The use of silhouette and minimalism in some of the pieces goes nicely with the all out visual assault of other more extreme posters in the collection. Personal favourites of mine have to be the Zombie Flesh Eaters poster and the fun yet for some reason mostly hated Nightbreed movie. Below is a small selection of upcoming posters the group are working on. 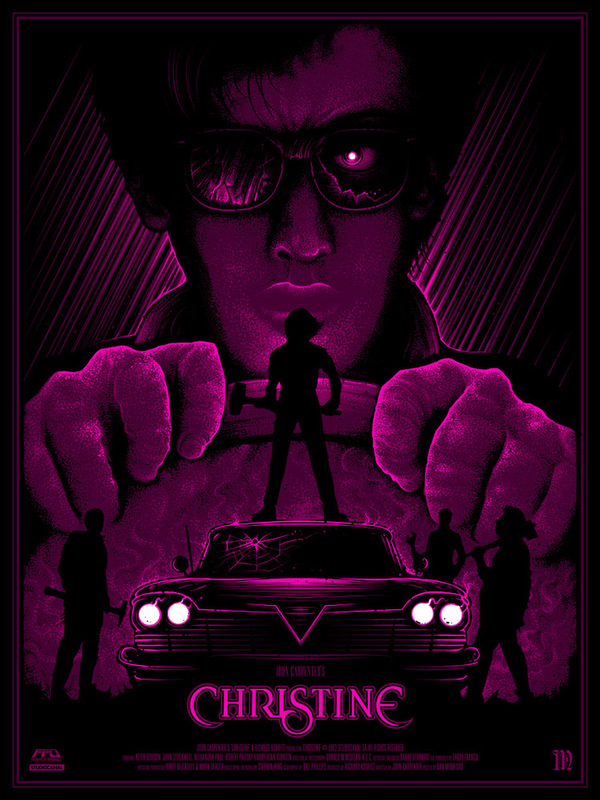 CHRISTINE – by Dan Mumford. Four colour -18″ x 24″ – portrait -300gsm – £35 – 60 only. 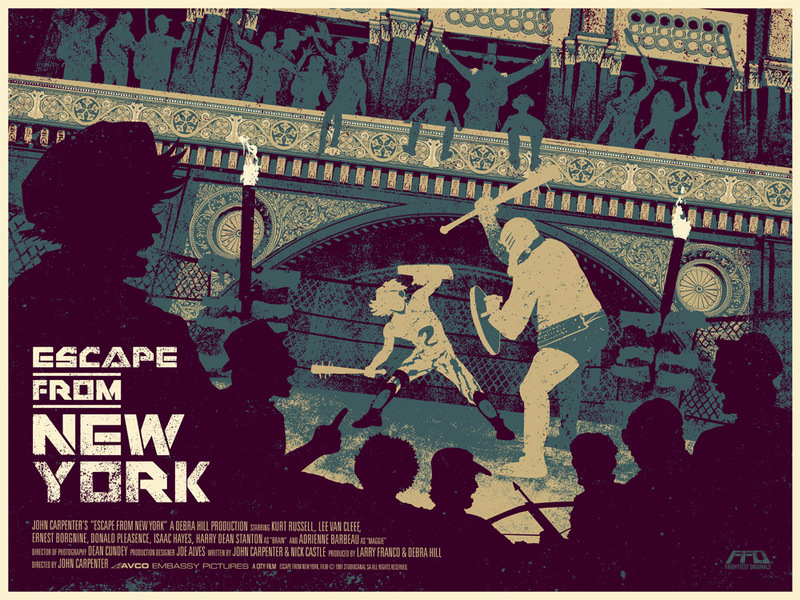 ESCAPE FROM NEW YORK by Nat Marsh. Three colour – 24″ x 18″- landscape -300gsm Snowdon – £35 – 60 only. 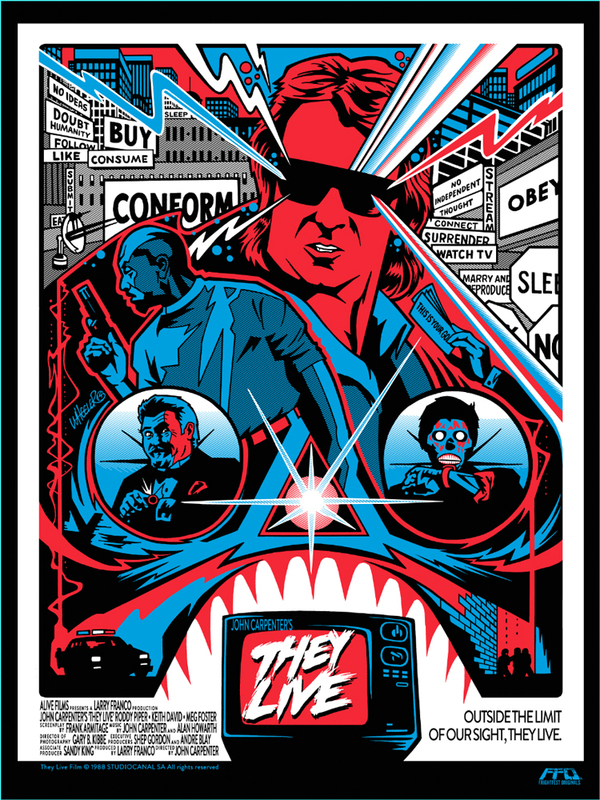 THEY LIVE by Jeremy Wheeler. 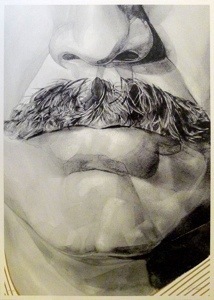 Three colour – 18″ x 24″ – portrait – 315gsm – £35 – 60 only. FrightFest’s website can be found here and you can also find more of this excellent artwork on their FaceBook and Twitter page. Though they have only teased a few pieces at the moment, we will be seeing a lot more from this company in the months to come. Better move fast if you want some on your wall though as most runs of a poster only go up to 50. 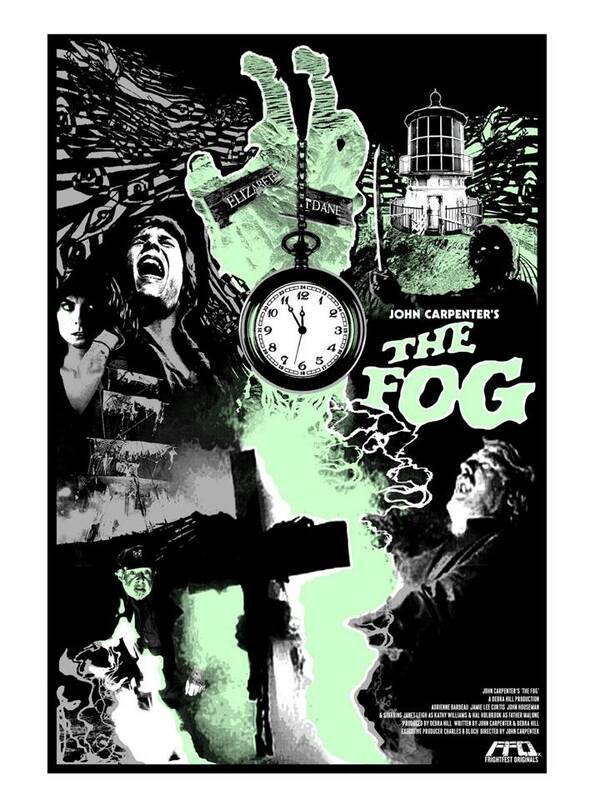 Lastly just released through Twitter we have Luke Insects haunting piece The Fog. 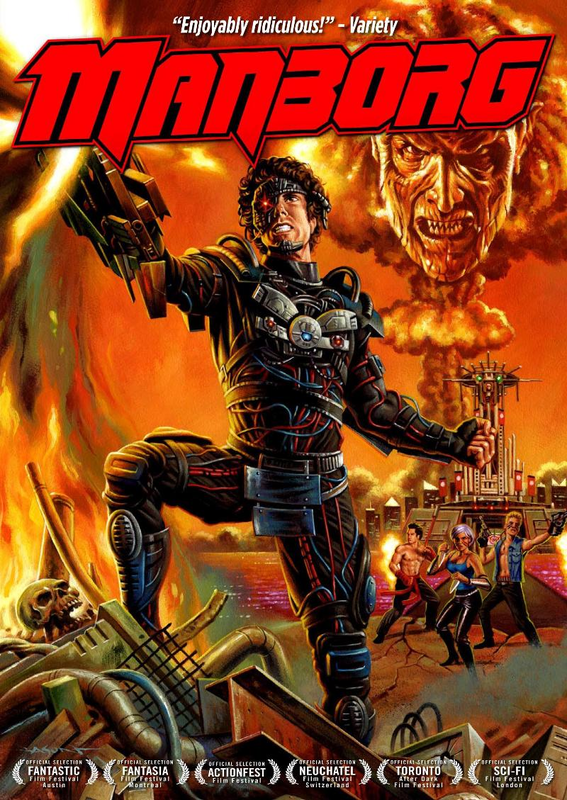 A week or so back I wrote an article focusing on the reintroduction of painted DVD art, a form of art that appeared first in cinema posters, but re-emerged in the VHS format and swiftly died when photo shopped DVD covers and extras pushed it (for the most part) out of the mainstream. Well there are a whole lot of companies out there not letting this tradition die. 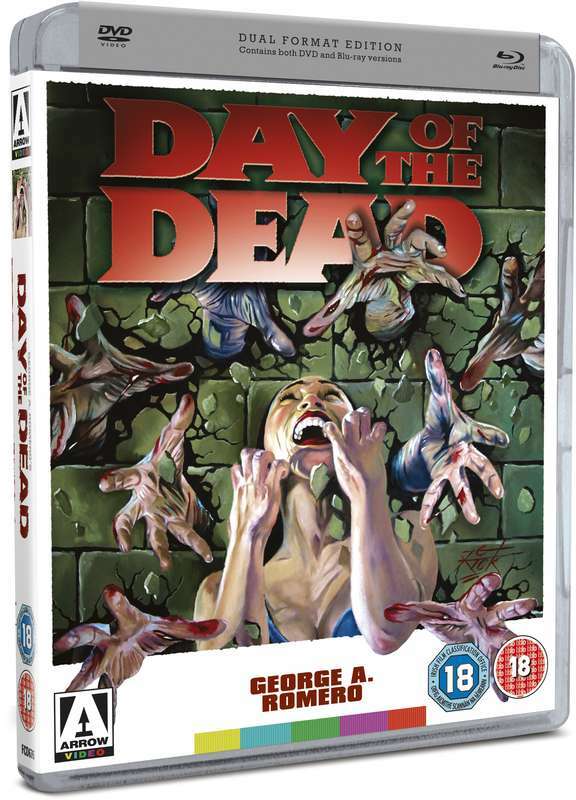 Arrow Video was the first company I was exposed to that cared about the covers of the products they were releasing, but they are by far the only people to do so. 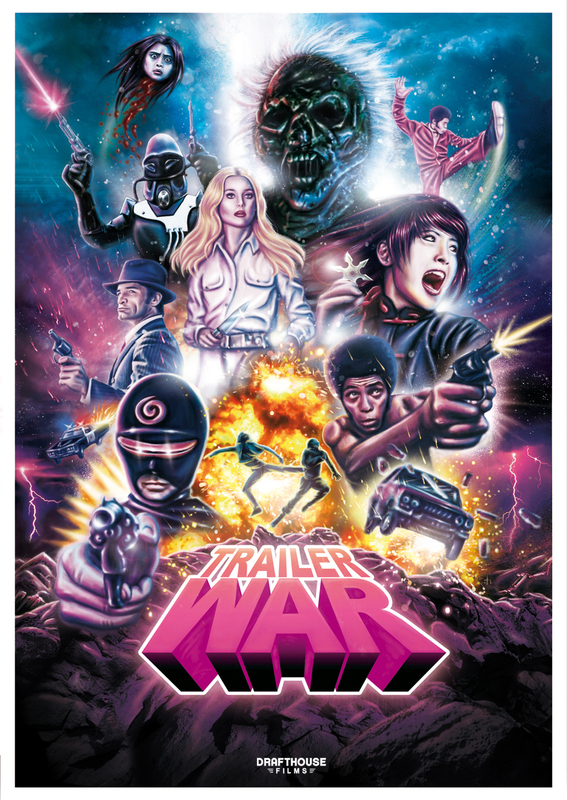 Shout Factory has also taken this on board and are realising some top quality DVD and Blu Ray releases that are proud to have artwork plastered all over them. Here is what the company is all about (taken from their website). Shout! Factory has been around for 10 years. 10 years! That’s quite an achievement and one we’re very proud to celebrate. When we first founded Shout!, we were fairly fresh off our Rhino days, a company my brother Richard founded in the 1970s. We had an amazing run at Rhino: 25 years for Richard, 15 years for me and about the same for our partner, Bob Emmer. Basically, we’re living up to our own motto of staying dedicated to what we grew up on, but never outgrew. Please let us know what you think. We want to keep doing this for as long as possible. Your feedback helps us know more about what’s working and what’s not. This is yet another company committed to bringing back movies from the past for consumption today. 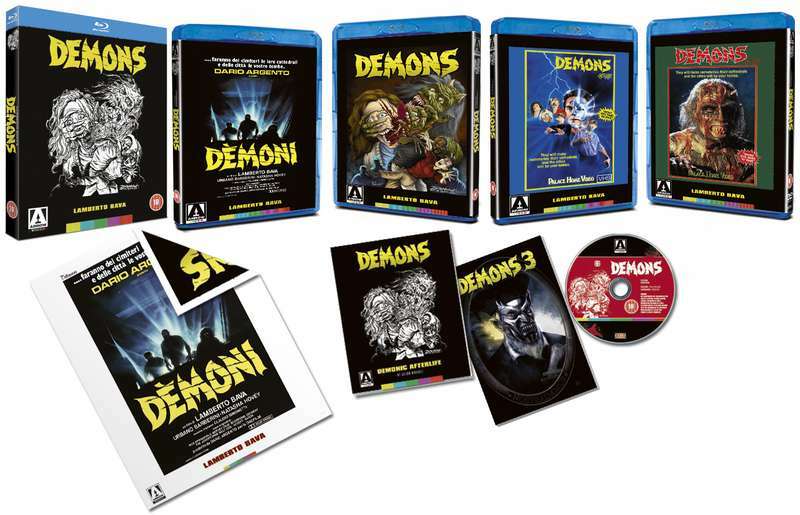 Their label Scream factory is comprised of tons of 80s and 90s flicks, some only just getting a DVD or Blu Ray release. Below is a selection of some of their released covers so far. Where possible I have credited the artist who created this stunning cover art. So let us all marvel at gallery of covers below. You can keep up to speed on all these new releases through their main webpage and also through Twitter and FaceBook. Artists Nathan T.Milliner, Justin Osbourn and Tom “The Dude” Hodge can all be found on Facebook and the internet. You would think with these two companies producing this much great content that this would be it for cover art articles. However you would be wrong because I have one more trick up my sleeve. There are a selection of fans and small companies out there doing some incredible retro based art on their DVD releases and the final article in this series will showcase some of these pioneers that I have managed to come across and the mind-blowing work they do. Technology moves so fast. 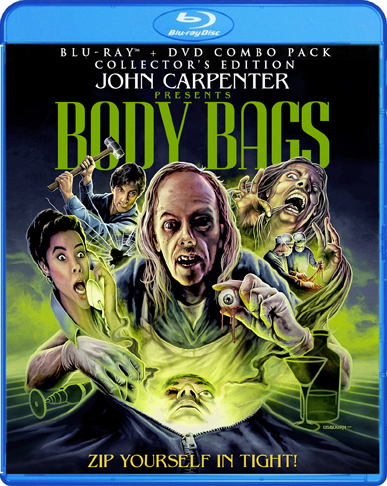 With phones seemingly getting updated every two seconds and constant technological advancements happening all around us, it may be strange and petty to moan about DVD and Blu Ray covers. Regardless, that is what I am about to do! 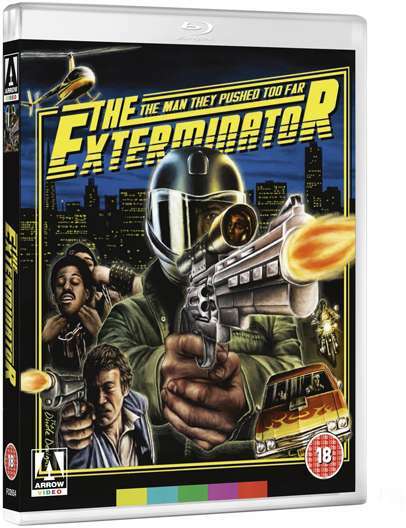 DVD cover art has stagnated for quite some time. The release of DVD in 1993 seemed to be an incredible advancement from VHS, which ruled the roost since the 80’s. What the format lacked in character (VHS and its character is an article for another day perhaps?) it made up for in incredible picture quality and numerous special features. However what it failed to bring with it was great cover artwork. Gone were the good (and sometimes bad) artwork created for the clunky VHS case and in came posed photo covers, or worse yet, the dreaded photo shop. A case in point is the James Bond films. 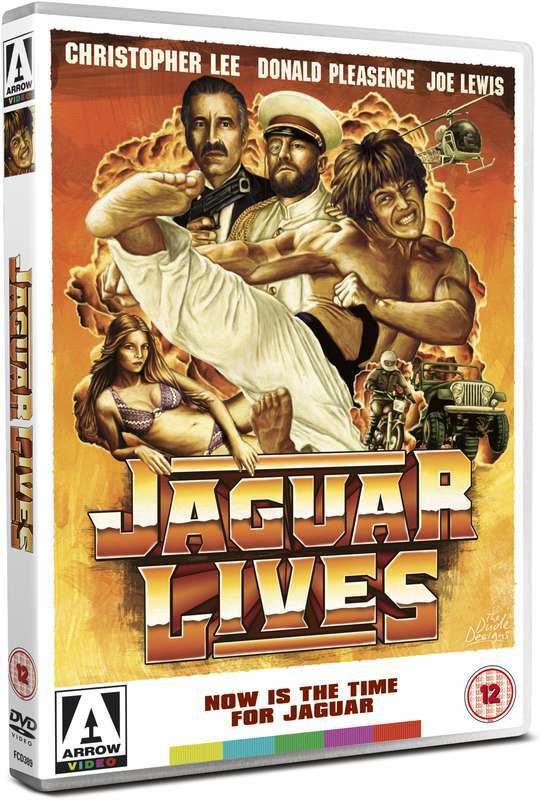 When released on VHS they had superb painted covers showing James Bond always smiling while getting shot at or blown up. When the DVD releases came out they ditched all this for very basic photo covers of the lead actor and nothing else. It was probably the cost which pushed this type of artwork back away from the mainstream as it is probably cheaper to take a photo than get an artist to create something from scratch. Also the allure of DVD extras was enough to get people to buy the new medium when back in the VHS era the artwork was one of the main hooks. This is an art site after all and what you folk want to see is some great bits of original art. Well in the last few years a few sites have taken note of our (or most probably just my) pain and decided enough is enough. With DVD extras now common place people are looking around for something truly special to get them to pick up a movie and these sites offer that. So in part one of a two part feature I just want to focus on two companies that I have noticed recently committed to bringing not just quality movies to us, but quality art covers to. First up is Arrow Films. They have been around since 1991 and are committed to bringing a wide, eclectic range of movies to the home video market. Below is a quote from their website telling us a little about themselves. Arrow Films is an all rights multi-platform distributor of feature films and TV series. We specialise in releasing some of the best content from around the world to UK customers and beyond. Since 1991, through Arrow’s diverse and rich product mix, one of the most energetic and cutting edge labels in British distribution has been forged. Recent accolades include being named Label of the Year by prestigious publications as the Guardian and Home Cinema Choice and over the years having multiple finalists in Sight and Sound’s best DVDs of the year as well as winning the British Video Association’s Marketing Initiative of the Year. Arrow’s global reputation as one of the finest labels in the world has come about through consistent high quality product and a focus on fan-based products always at its core. This includes a major investment on restoring original material through modern techniques as well as pioneering packaging solutions and newly commissioned artwork for each release. The commitment to the fans of cinema, no matter how obscure the content, is one thing to be admired. The other is their dedication to great and knock out cover art. Below is an example of some of their better covers. Though it is difficult to credit the artists who drew the piece as it does not always say who the artist is on the DVD I have done my best. If nothing else we can at the very least admire their art through this article and hopefully that will be credit in itself. So sit back and enjoy an art filled trip down memory lane as a lot of these covers encapsulate all that was great with the VHS era and most probably of lot of people’s memories of childhood. Someone has at last got it right! You can look at other Arrow releases though their website, Facebook and Twitter page. Some of the covers I haven’t included because of the explicit content, checking out their sites out is the best way to see the rest of this awesome art. 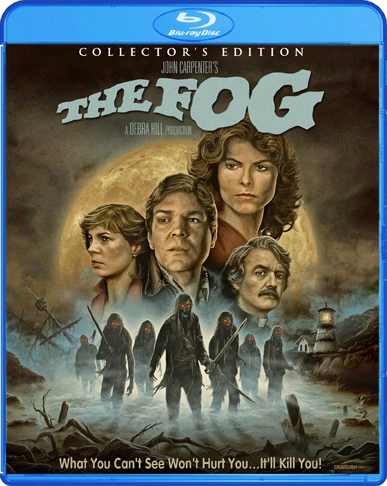 In a future article, we will focus on the inventive work of Shout Factory as well as other imaginative, one-off releases from other companies. So, lovers of cover art, keep your eyes peeled for that one. 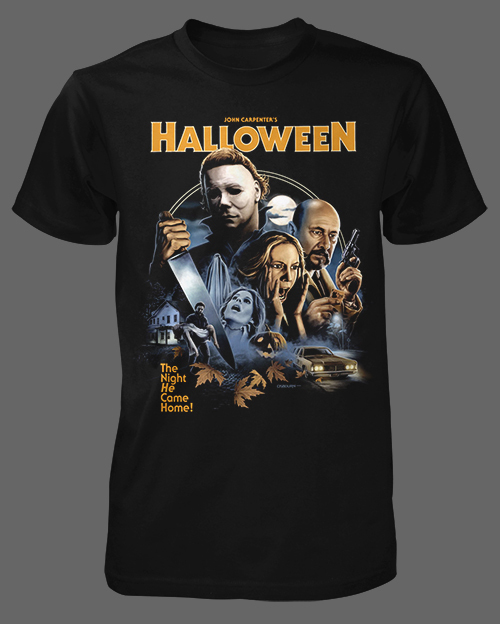 Halloween is an iconic trend setting movie that since its inception in 1978 has shocked audiences around the world. 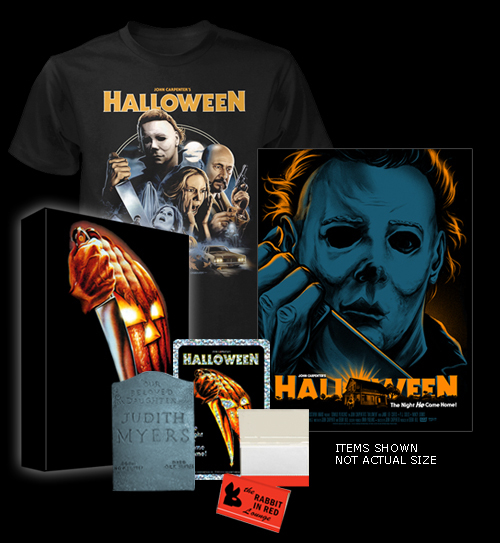 Now this fact is all well and good but you may be thinking “this site is about incredible art not movies so what the heck is going on?” Well dear reader you may be interested to know that Fright Rags have combined these two mediums with this incredible Limited Edition Halloween set (limited to 800). Limited Edition T-Shirt. Full Colour by Justin Osbourn. Printed on 4.5 oz 100 percent cotton shirts. 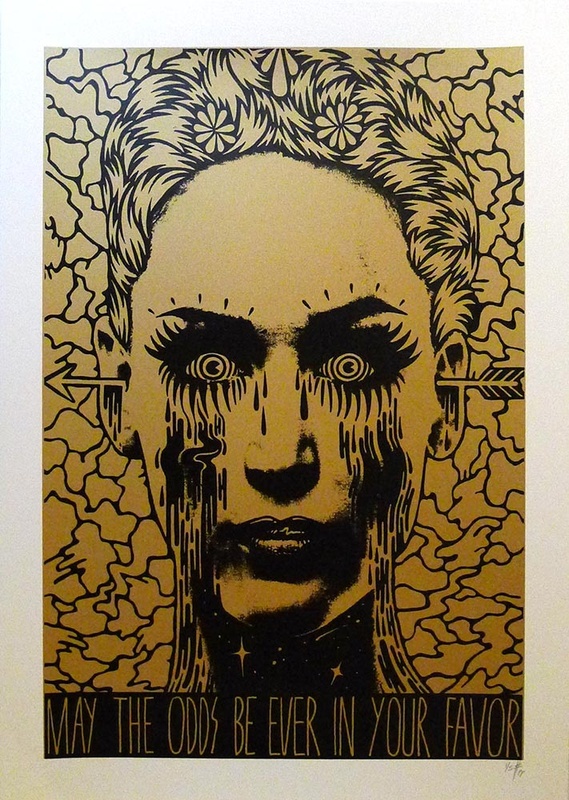 18×24 Screen Printed Poster. Gary Pullin Design. Printed on 140# French Cover Stock. 100 Glow in the Dark Variants Randomly Inserted. 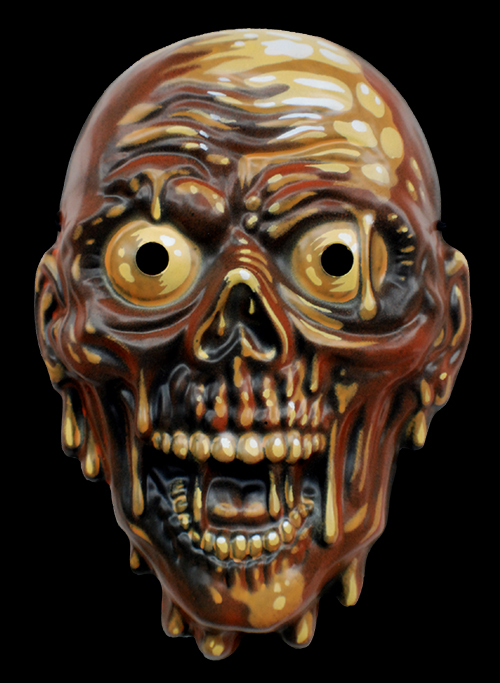 Judith Myers Resin Magnet by Monte Ward. Prismatic Sticker of Original Halloween Art. Rabbit in Red Memo Pad. All this comes in a great collector’s box to keep all of the items safe and secure until you need them. The whole package looks too amazing to touch, in fear that doing so would somehow sully the incredible things inside of it. Aside from this set general coolness it is also reduced in price. The retail (minus p and p) is $80. 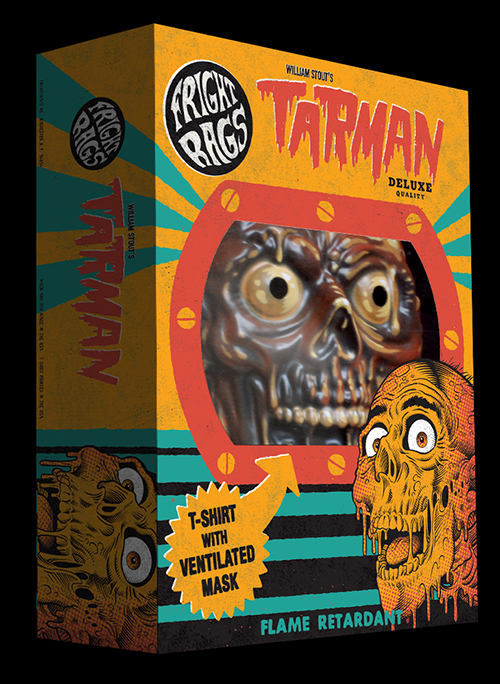 Fright Rags have done these kinds of sets before and if you like this one then take a look at their Tarman set below from the movie Return of the Living Dead which is also on sale at $87.95 and has just as much attention to detail put on it that the Halloween set does. It comes with T-Shirt and Tarman mask. 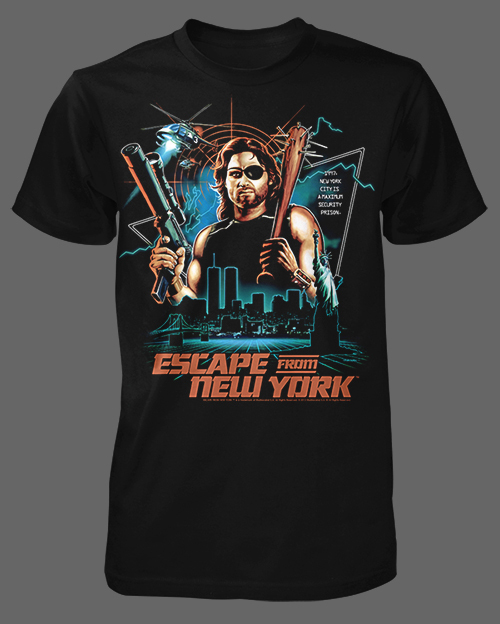 Finally to end this article on a high here is the last set Fright Rags have created with Snake Pliskin taking centre stage. 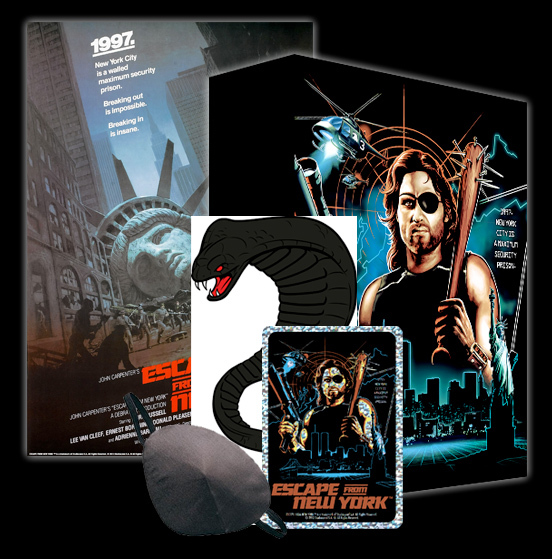 This is the Escape from New York set (800 copies). This retails at $57.95. Limited Edition Full Colour T-Shirt by Justin Osbourn. On Super Soft 4.5 oz 100 Percent Cotton Shirt. 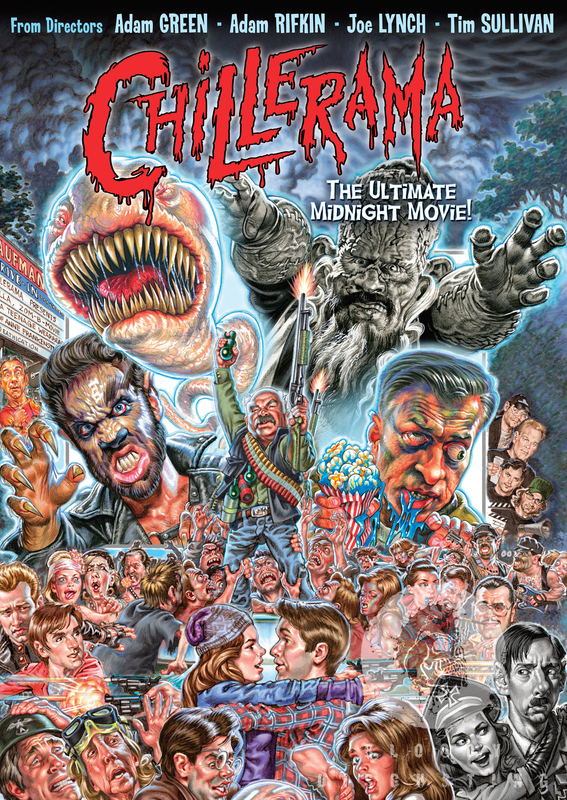 11×17 Replica Film Poster. Replica Offset Print on 80# Silk Cover Stock. Cobra Temporary Tattoo. Sanke Plissken Eye Patch. Prismatic Sticker of T-Shirt Art. 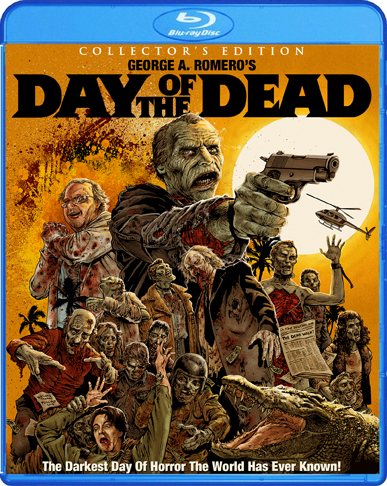 So head on over to Fright Rags now to pick up your copies, while they are still available. 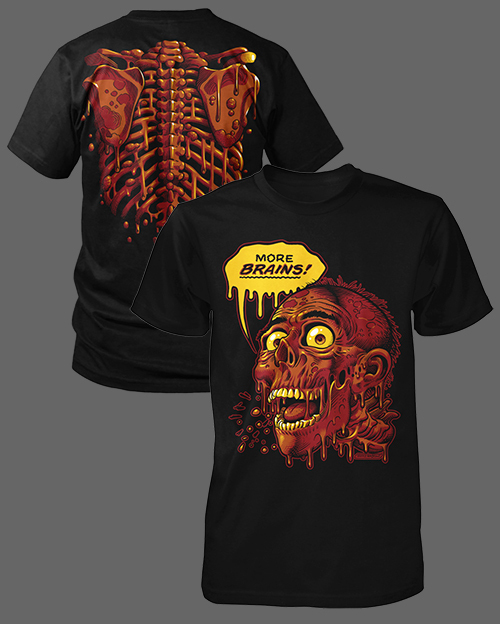 Keep track of future Fright Rags releases by following them on Twitter and Facebook, too! Done right, alternative movie posters can be fantastic works of art. Done wrong, they look like minimalist Olly Moss rip offs. Thankfully Print Club London’s Soho House commissioned series is the former. Print Club London are currently curating a selection of illustrations and print 12 alternative film posters commissioned by Soho House for their Electric Cinema venue in Notting Hill. Artists Hattie Stewart, HelloVon, Anthony Burrill and Ed Wood have created unique works inspired by World War Z, Lincoln, The Great Gatsby, Gangster Squad, Rush, Anchorman 2, and a few more. Head on over to the Print Club London website to have a look at the full series.